You are here: Home / Cooking / Can You Freeze Ham? This is probably a strange question but I was reading your article on freezable sandwich fillings and I was wondering, can I freeze ham? I know you said you can freeze a ham sandwich but can you freeze sliced ham or freeze ham on the bone? Is it just me or is anyone else’s mouth watering? Yes! You can most definitely freeze all different types of ham. It’s possible to freeze sliced ham, smoked ham, ham off the bone, cooked ham and more. You can even freeze a Christmas ham (whole leg of ham) as long as you follow the right procedure. I’ve included information on how to freeze ham further down the page. Can you freeze ham on the bone/Can you freeze a leg of ham? Yes. If it is already well packaged you can store it directly in the freezer without any further preparation. Can you freeze cooked ham? Yes, I only ever have cooked ham in the house and it freezes really well. 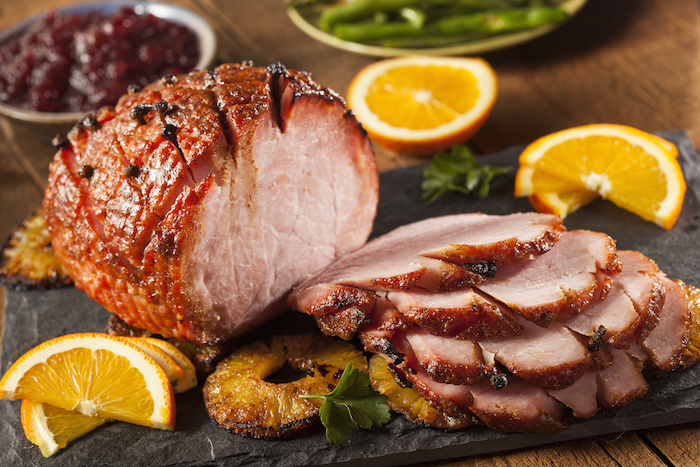 Can you freeze Christmas ham? Yes… Christmas ham is the best!! Can you freeze smoked ham? Yep, it’s the same as cooked ham. Can you freeze deli ham? Yes although I do find it can go a little watery. Thicker slices are better. Ham can freeze really well if you prepare and store it properly. Here is everything you need to know about how to freeze ham so it defrosts well and tastes good. Freezing sliced ham is convenient and easy. It’s a great way to avoid waste and if done properly ham defrosts just as fresh as when it was frozen. When freezing sliced or deli ham, choose thicker slices as these defrost best. Use your sharp knife to slice ham to desired thickness (if required). Allow to cool completely in the fridge if using freshly cooked ham. Divide ham into portions. Generally a handful or so is a good guide. Place each portion into freezer bags (or zip lock bags work well too). Be sure to squeeze out all excess air. Flatten bags so they stack easily in the freezer. Label each bag using the permanent marker including what’s inside and the date it was frozen. If your ham is whole and already vacuumed packed then you can place it whole in the freezer. If not, follow this process. Allow ham to cool completely in the fridge if freshly cooked. Dry the ham with a paper towel to remove any excess moisture. Place ham into a freezer bag, making sure to remove all moisture. Wrap in aluminium foil to protect further. Wrap in another plastic bag. Label the bag using the permanent marker with what is inside as well as the date it was frozen. I flatten all my frozen foods so they stack more easily. Note: If you don’t have a freezer bag big enough to fit your ham you can use plastic “cling wrap” followed by aluminium foil. The important thing is that all the meat it completely covered and the final package is totally air tight. How Long Can You Freeze Ham For? Naturally, the next question that comes to mind is how long can you freeze ham for before it goes bad? 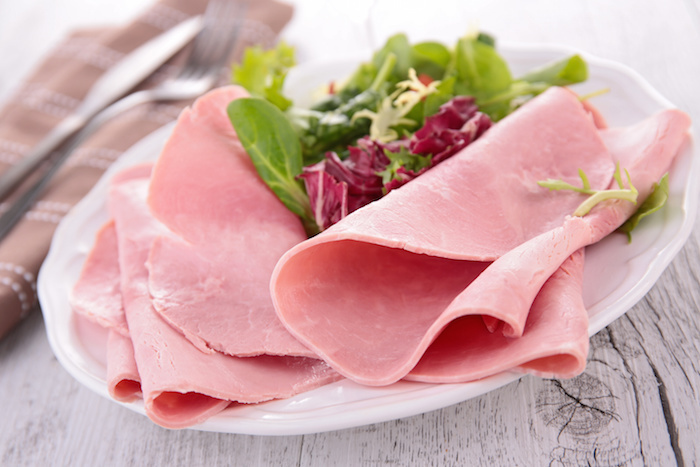 The length of time ham will keep in the freezer depends on whether you are freezing ham on the bone or sliced ham. Generally ham on the bone will keep longer and freeze better than sliced ham but I’ve included some guidelines below. As a guide, sliced ham will keep for up to a month in the freezer. Ham on the bone will keep a lot longer, generally 4 months if well sealed. Remember that ham on the bone will need to be defrosted in one lot where as sliced ham can be defrosted in smaller parts if you’ve frozen it in portions. How Do You Defrost Ham From The Freezer? Always defrost ham (or any meats) slowly in the fridge. Never leave them out on a bench or submerge in water. Defrosting ham in the microwave is not usually effective as it tends to partially cook. Remember to keep the ham well sealed when defrosting. So there you go! 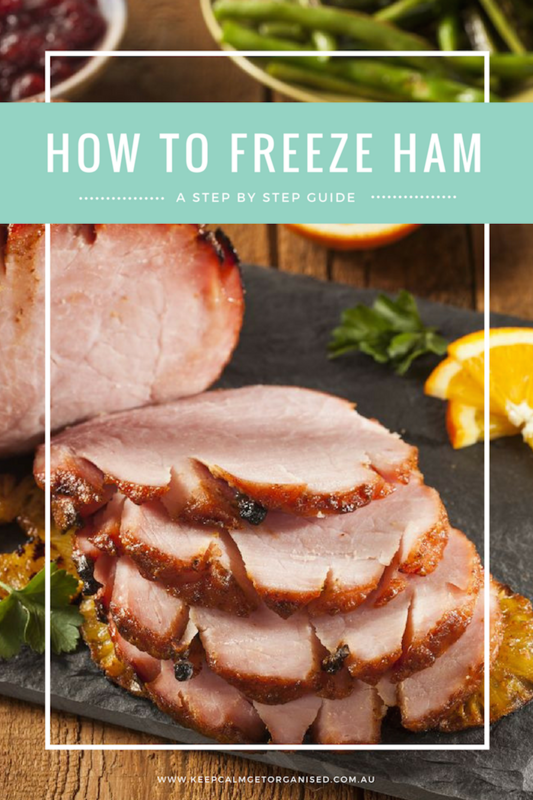 Everything you ever wanted to know about whether you can freeze ham and how to freeze ham so it is fresh and tasty. This is a fantastic post; you have answered so many questions about freezing ham. Thank you!!! Your vacuum packed ham should be able to be frozen as is. 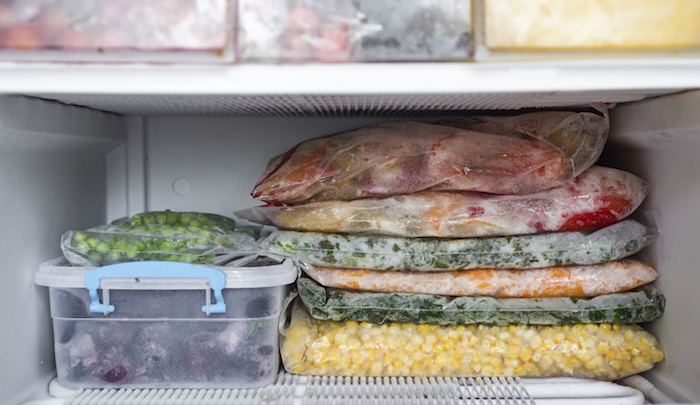 12 months is quite a long time for any frozen meat though so while it is probably still safe to defrost and cook, it’s likely to have lost a lot of flavour. If you are glazing & cooking it though this may not be such an issue. Fully cooked smokes vacuumed seale and frozen . Sure it can! 🙂 Just be sure to keep it in the ‘wrapping’ while defrosting, and use the fridg for this, not out on the counter or in the sink submerged in water. So where are the instructions for freezing an already cooked and glazed Christmas ham? Thank you Michelle, just answered all my questions about freezing / defrosting my ham. Hi if I defrost the ham to place it into wraps is it ok then to heat the ham as it will be in the wrap that I will want to heat up at lunch time? I haven’t found the taste to be an issue? Make sure you seal in fully or it will get freezer burn though! Thank you so much for all your hints, I value them very much. I am off to freeze my ham. I have a nitrate free, spiral cut ham on bone, uncooked, still in original double package. Has been frozen fior 12 months. Is it alright to thaw, cook and eat?? I am from the UK(since 2011) and elderly. Just not used to all this ready cooked ham legs. bought half leg and WITH CRACKLE, just got out of freezer and waiting to see if it is really hard crackle when defrosted!, and do I cook again (coles)? Your article is extremely helpful. Thank you. We have a 6kg ham that has been in freezer for 3 months. How long can it last when it is thawed amd in fridge (still not cooked)? Is 1.5 weeks still ok to use?